Panic over Arctic temperatures got smeared across news networks last week, so I think a bit of perspective is in order, including an assessment of what this means for polar bears and their prey (because some of the hysteria is being amplified from that corner). The region causing all the kerfuffle is at the northernmost tip of Greenland (see map below), where there is a weather station at Cape Morris Jesup. Next-nearest stations are at Alert, Canada (to the west) and Longyearbyen, Svalbard (Norway, to the east). Summary: Temperature and sea ice “abberations” in northern Greenland are transient phenomena that have clearly happened before (e.g. 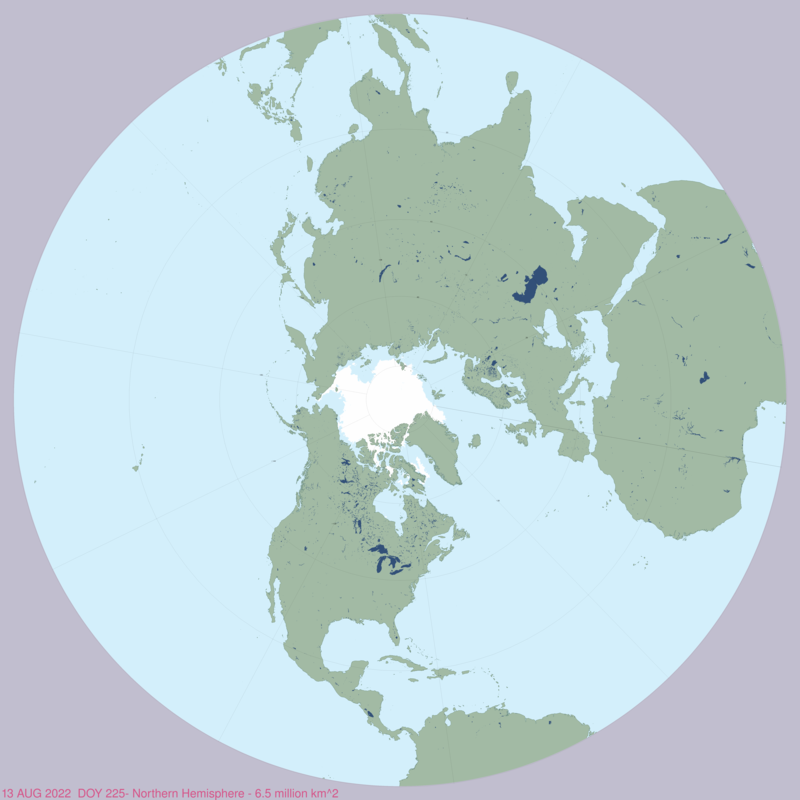 2011) without major consequences except perhaps through impacts on eastern Arctic and subArctic weather conditions (including the UK). Lack of sea ice north of Svalbard in the Barents Sea occuried last year and in 2012 in Februrary. But by mid-to-late March, when seal are beginning to give birth on the ice and polar bears are busy hunting them, ice had again covered the region. This year is likely to be the same. However, we won’t know until the end of March or ealry April if a recovery will or won’t happen, so any alarm-ringing about impacts on Arctic fauna surival have no foundation in fact until then. Scorsby Sound, East Greenland bear in March 2011. Rune Dietz, press photo. In the Bering Sea, ice extent is well below average for this time of year but studies show the one consistent feature of Bering Sea ice is its variability. Low ice levels have distressing impacts for St. Lawrence island seal and whale hunters. However, there is certainly enough ice in the Bering Sea/Chukchi Sea region for polar bears and Arctic seals to do what they do this time of year (which is try to survive until early April, at which time seals start giving birth to their pups and polar bears start to eat them, with gusto). And the ice season isn’t over: maximum extent of ice in the Bering sea doesn’t usually come until late April or May, and the dramatic decline of mid-February already shows signs of reversing. PS. I’m off within hours to Toronto for the launch of my State of the Polar Bear Report in honour of International Polar Bear Day, 27 February. Watch for reports in the news and for my op-ed 27 February at the Financial Post. In conjunction with the launch of my State of the Polar Bear Report in Toronto next week, Benny Peiser (from the Global Warming Policy Foundation) and I will be participating in a coffee house discussion about polar bear conservation and survival issues on the evening of Tuesday, 27 February 2018 at 8:30 pm. If you’re in town, come and celebrate International Polar Bear Day with a frank discussion about polar bear science. I am very much looking forward to meeting the public at this evening discussion and to chat with media representatives and colleagues at the press luncheon in the early afternoon. Journalist/opinion writer Terry Corcoran recently billed the luncheon as part of a Polar Bear Battle since conservation organization Polar Bears International (where biologist Steven Amstrup, co-author of the Harvey et al. Bioscience paper and developer of the failed 2007 polar bear survival model, is employed as chief scientist) is holding a gala fundraiser dinner the same night, just a block away. In addition to Benny Peiser from GWPF, a number of familiar names will be at the State of the Polar Bear launch and press luncheon, including Terry Corcoran, Larry Soloman, Joe Oliver and Conrad Black (all journalist/opinion writers at the Financial Post and/or National Post), journalist/writer Donna Laframboise who blogs at No Frakking Consensus, as well as science colleagues Chris Essex, Ross McKitrick, and Steve McIntyre of Climate Audit fame. Details below. My “State of the Polar Bear Report 2017” will be unveiled at a Global Warming Policy Foundation press conference and luncheon in Toronto on Tuesday, 27 February, in celebration of International Polar Bear Day. There will be a video presentation as well. The report summarizes clear, reliable and concise information on the current state of polar bears relative to historical records. It highlights up-to-date data and research findings in a balanced and factual format that avoids hype and exaggeration, all in one place. It is intended for a wide audience, including scientists, teachers, students, decision-makers and the general public interested in polar bears and Arctic ecology. The launch will be held on Tuesday 27 February at 11:00am at the Toronto Public Library, Founders’ Room, 789 Yonge St, Toronto, ON M4W 2G8. A copy of the report will be posted on Polar Bear Science Tuesday. New Scientist has an article coming out next week takes a fairly reasoned approach to the polar bear conservation issue. It acknowledges that polar bear numbers have not declined in recent years even though summer sea ice dropped dramatically but goes on to perpetuate a number of myths that might not have happened if the author had done his homework or quizzed his other experts as thoroughly as he did me. The survivors: is climate change really killing polar bears? Rapid global warming is said to be ringing the death knell for polar bears, by melthing their icy hunting grounds. But the reality is more complex. Fred Pearce, New Scientist 10 February 2018. Online now.